Iraq is preparing to deport more than 500 wives of Islamic State (IS, formerly ISIS/ISIL) jihadists along with over 800 children, according to local officials cited by AFP. The group were reportedly moved Sunday from a camp south of Mosul, run by international aid agencies, to a detention centre in Tal Kayf. The group of 509 women and 813 children are believed to hail from 13 different countries in Europe, Asia and the Americas. Some 300 of them are Turkish, according to a government official. The Norwegian Refugee Council (NRC) were among those providing for the basic needs of the displaced group before Iraqi authorities transferred them to an unknown location. “The NRC demands that the Government of Iraq disclose the exact location of these people and the reasons for their transfer,” it said in a statement. “These women and children are extremely vulnerable. Regardless of what their family members may be accused of, they have a right to protection and assistance,” said Julie Davidson, Deputy Country Director of NRC. The Iraqi military said in a statement Monday that the group was moved to a safe location with better services under the supervision of the Iraqi forces and specialized committees, Press TV reported. 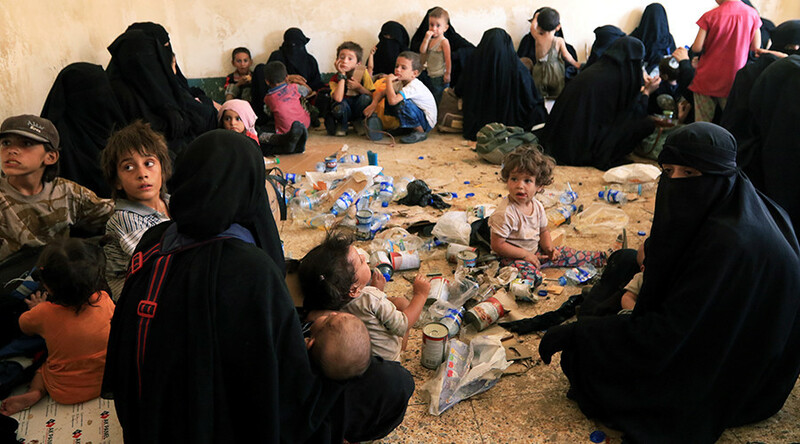 The women and children are among those who fled Tal Afar as Iraqi forces gained control of the city located in the Nineveh province. On Friday, Iraqi News reported that 14 Islamic State women – the majority of whom were Turkish, and 16 accompanying children were arrested in the Aiyadhiya region, located near Tal Afar. Earlier this month, RT spoke to some of the former wives of Islamic State militants stranded at a UN based Iraqi camp. The short interviews, taken at an undisclosed location, was the first exclusive footage of the camp. 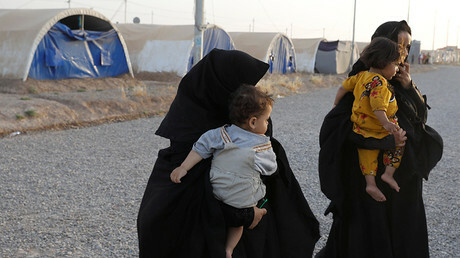 Hundreds of women, mostly of Turkish, central Asian, Russian and European origin, and their children fled to the camp after the liberation of Tal Afar. “Most women here came with their husbands. We didn't come here to fight, or to kill. We came here to live,” one woman told RT.